A number of World Famous Golf Courses. 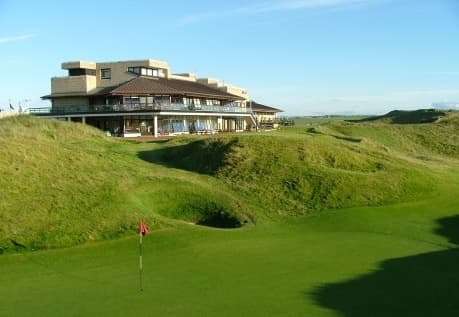 Ballybunion Golf Course needs no introduction, Ballybunion is one of the most famous links courses in the world. 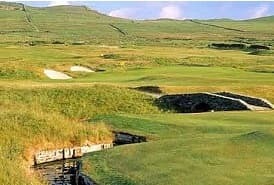 Fuelled by tributes from the likes of Tom Watson, Ballybunion is themost visited Irish golf course. The Old Course is a truly natural links course. The contours of both fairways and greens, combined with the sea breezes, provide the main challenge. Accurate approach play is required, with little room on either side of the smallish greens. Ballybunion does favour those who can bump and run the ball onto the greens. Challenging, par 71, championship course which is very much in the traditional mode, featuring pot bunkers and undulating putting surfaces. Originally designed by Christy O’Connor Jr. and Peter McEvoy, the course is now upgraded to European Tour standards. Reopened ies in the heart of a 780 acre estate. 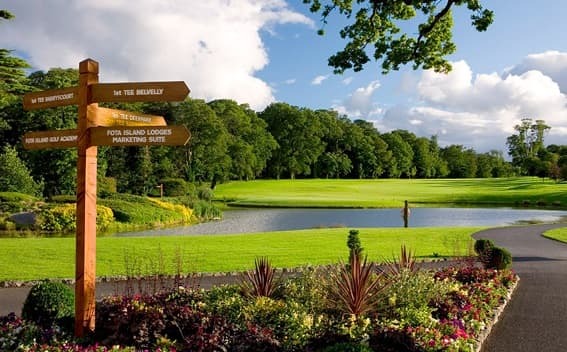 The splendid woodlands are woven into a chin September 1999,the Irish Open was played here in both 2001 and 2002. 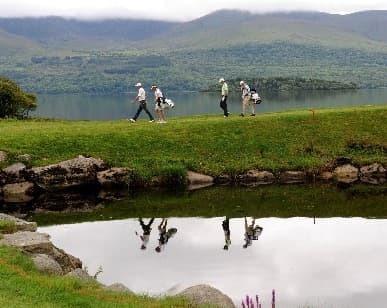 Killorglin Golf Course This 18-hole, parkland course opened in 1992 and is maturing into a challenging but fair test. Located in the heart of County Kerry, it is probably the most scenic course anywhere. Visitors are assured of a friendly welcome. 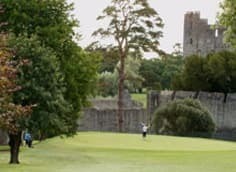 Bar and restaurant facilities are available all year round Killorglin Golf Club has excellent facilities and is great value for money. The course consists of four par fives, four par threes and 10 par fours. It is overlooked by two mountain ranges, the MacGillicuddy Reeks and Slieve Mish. In turn, the course overlooks Castlemaine Harbour and the River Laune.